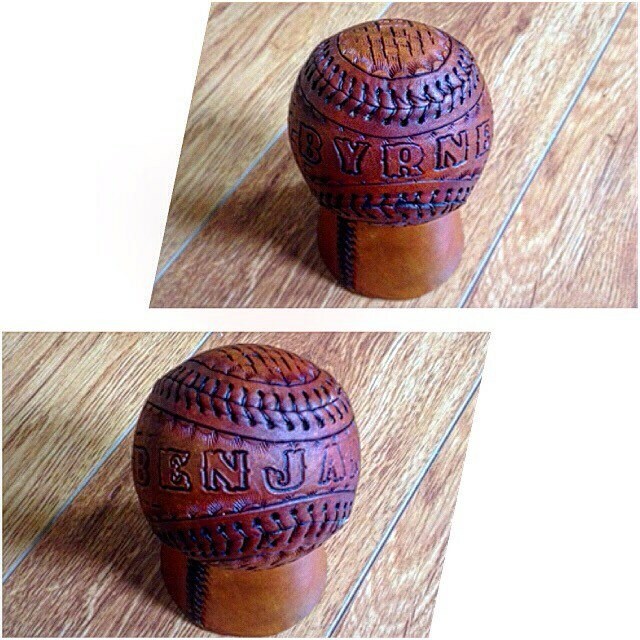 Hand tooled custom leather baseball- regulation size. Customize with your choice of image, name, team logo, or texture as well as your choice of leather color and stitching color- just give us the details in the notes and we'll take care of the rest! Perfect gift for your favorite player or coach or even if you want to just support your favorite team!